A rare moment (on a rainy day) when these ducklings aren't overrun with children and their parents. Lol, fantastic angle and how great that you caught the gent looking back! Good shot, the low viewpoint works - they were covered in kids the only time we saw them. These must be bolted down somehow else they would have become a souvenir long ago. A nice composition, Clueless. 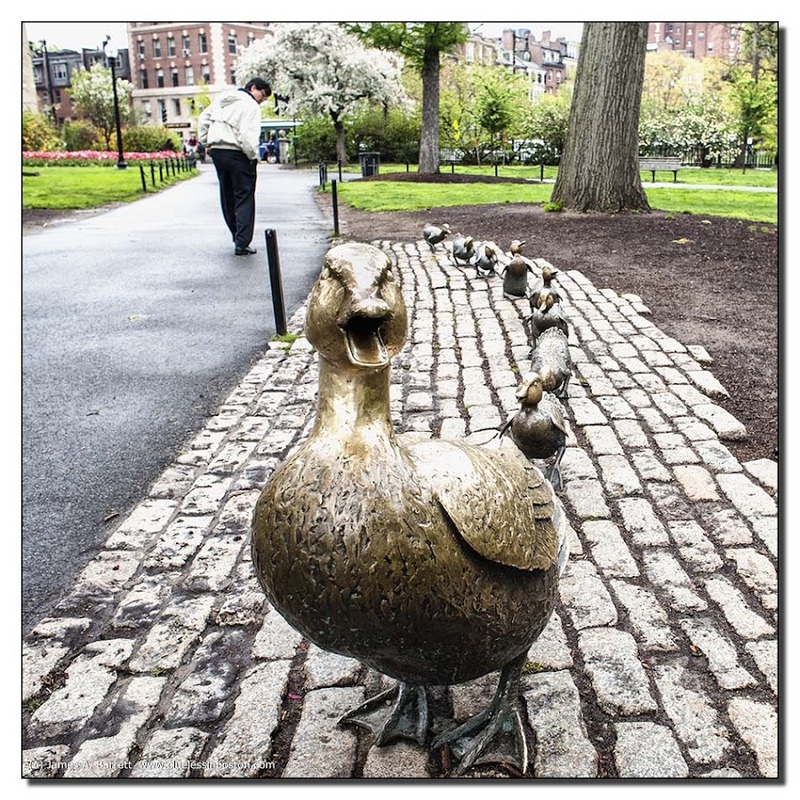 Make Way For Ducklings was one of the favorite children's books that I read to my kids. My grandmother took me to the Public Garden all the time when I was a child and that book was a favorite. I got bit by one of the swans in the lagoon when I got too close with food.